tuberculosis twice, Nandita fights on every day, dancing and writing all along. Here is her story, captured in a chat with Sharda Vishwanathan. I am a tuberculosis survivor and am deaf/hearing impaired. I had the dreaded disease twice and it consumed over 8 years of my life, my youth, with ever-lasting effects that continue to chase me in my daily life. A deadly trail of that is deafness. I lost over 90% of my hearing due a rare side effect of an anti-tuberculosis injection. I’m presently employed with The Economic Times, Mumbai where I am the only person with disabilities in their editorial department. Alongside my job, I started working actively as a patient rights advocate for TB patients since last year, wherein I highlight the missing needs for a patient, handhold, guide, provide information to TB patients to complete the long strenuous treatment and speak up for rights of persons with disabilities (PwDs). I completed my post graduate studies from the Indian Institute of Mass Communication, situated in the JNU campus, and also did a diploma in financial management (DFM) from Welingkar Institute of Management. I am born and brought up in Mumbai. I had a good and a secure childhood. This was in the 90s and early 2000s, much before the era of mobiles and social media!JWe come from a middle class background. So there was not much extravagance, but my parents provided all they could afford to, within our limited means. I was a good student in school would participate in extra-curricular activities. 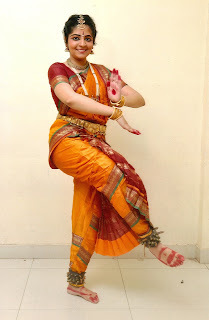 I am a trained Bharata Natyam dancer and had briefly pursued Carnatic music as well. However, I was under-confident and felt socially awkward during my school days and parts of my college days. I also had a big stage fright! But performing my arangetram in Std 9, in front of a large audience consisting of well-wishers, relatives, fellow classmates and teachers helped me tackle my fear of ascending the stage. It also helped me develop confidence that I could face a large crowd and own it! I was an active member of Chinmaya Mission for 3-and-a-half years, where they would teach bhajans, acquaint us with Hindu mythology and conduct adventure sports and trekking camps. Since none of the standard medications worked as quickly as it should, I was asked to get a surgery to remove the infected portion of my large intestine. I wheeled into the operation theatre (OT) on my father’s birthday, July 24. While the surgery was declared a success and I was discharged after 10 days, my condition started to badly go downhill a week after my discharge. I developed high internal fever, turned breathless and collapsed. My intestines had got entangled, causing a near-fatal blockage. My condition was deemed ‘very critical’ and further surgeries were needed to save my life. What was, initially, supposed to be one surgery and a 10-day hospital stay, now spiralled into 6 surgeries and an endless nightmare. After the first surgery on July 24 mentioned above, I had to undergo 5 more surgeries in two instalments – 3 back-to-back between August and September and the final 2 surgeries, in April 2014, after an 8-month gap. It was a cruel, debilitating, yet an eye-opening experience.In total, I was in the hospital for 3 months and developed complication after complication, which doctors said were unheard of, at such a young age. Solid food was completely prohibited for two months and I was forced to survive on just small sips of water, leading to severe weight loss. I was down to 32 kgs, akin to a ‘walking skeleton’. Add to this, I had to take 200+ painful injections during my full course of treatment. I think, there is nothing bigger than confronting your mortality. All this left me with a sense of disbelief. Pinned down to the bed all the time with IV tubes running through my body, my independence was snatched away harshly, making me helpless and hopeless. This invisible bacteria, hidden in my abdomen, had taken charge of my body, and was making me dance to its tunes like never before. I was never, even in my wildest dreams, prepared for all this! I had always been on the move and led an independent life. Suddenly all of that disappeared. After enduring major surgeries at the hospital, I thought I was done with my quota of pain. Little did I know that the worst was, probably, yet to come. I lost my hearing on November 22, 2013, two days after I celebrated my 24th birthday. I was handed out the crudest birthday gift one could have asked for. This is how it unfolded: I spoke to my mother and went to take a 10 min nap in the afternoon. I woke up from the nap to pin drop silence. I lost my hearing in sleep -- The world around me fell silent. In the snap of a finger, I lost access to basic things that everyone, including me, take for granted – music, TV, phone calls, proper conservation with people. Now, not only was I dealing with TB, I was staring at a life-altering permanent disability, bang in the middle of my life. The devil responsible for this, was an injection I had taken as part of my treatment. It’s a rare side effect of the injection. They say ‘man is a social animal’... I lost this very quality in matter of minutes and plunged into a world of loneliness. I had to deal with acute clinical depression and was pushed to the very edge. You see, at 23-24 years, you don’t expect so much to happen when many folks of my age were pursuing their careers, going out with friends, planning their next travel, getting married etc. The hearing impairment is a sharp contrast to the very person I am – an inquisitive girl, a conversationalist, who loved to debate, discuss and explore every topic, be it intellectual or random, under the sun. This change was devastating to my self-esteem, tore apart my confidence and I withdrew into my shell. But, I realised that I couldn’t sit and feel sorry for myself for too long. The journey to recovery was no doubt harrowing and filled with uncertainty, but one that held out many lessons, too. As difficult as it is, I tried hard and looked for some good aspects amidst all the gloom. It could be the smallest of pleasures and victories like going for a walk, eating proper food or seeing small signs of recovery amidst lost hope. Though, I had full support of my parents, ultimately the battle was mine, I had to fight it out. Some friends stood by me, some others whom I had considered ‘close’, trailed off and stopped keeping in touch after my hearing loss. Physical: I was severely underweight due to the surgeries and lack of food; my stamina took a big, big knock and I almost lost all my hair and became bald.I was bedridden for over two years. I had given a dance performance just six months before my diagnosis of re-infection, and here, it came to a point where I couldn’t even walk 10 steps without assistance! Mental: The acute depression was hard to tackle. It was traumatising. I felt like I have nothing to look forward to and would get all the wrong ideas of giving up, of being a good-for-nothing for my parents. I came very close to ending my life. I used to cry for 12 hours (yes, 12 hours!) out of sheer physical pain. And then, the hearing disability and depression added to it. Financial: All of this took a serious toll on the financial health of my family. We had to shell out large sums – Rs. 50 to 60 lakhs – for my treatment and sold off our house and shifted to a rented flat. This really added to the guilt and helplessness! New, unexplored world of disability: I had been a part of the hearing-speaking society for 23 years of my life. The drastic hearing loss really changed everything for me. ...But I made lemonade, lemon tarts and lemon curd pie! The journey to dance was never planned. I had no hopes of getting back to dancing after seeing myself like a vegetable! It was in July 2015, on a rainy evening, when my dance teacher, who was aware of the problems I was undergoing, casually asked my mother if I would be interested in taking part in the Dussehra programme. My immediate response was a big NO. I wondered as to how I would dance when I can’t hear the music. Moreover, my recovery process had just started and was moving a snail’s pace -- I was practising how to walk steadily! Dance is a rigorous art form, and my stamina had reached its nadir. And I definitely didn’t have the confidence to go up on stage and face the crowd after being home and bed-bound for close to 3 years. These were some of the questions tossing around in my head. I finally convinced myself that I’ll have to make a start somewhere and keep wallowing in pity. Maybe, this opportunity could be that one? Parents also egged me to give it shot. I then conveyed my interest to my teacher to join the programme. The initial plan was to just go and take up dance practise, performing would depend on how things flow. The sessions were extremely difficult to begin with. I would get breathless and exhausted after just 2mins of dancing. I felt socially awkward as this was the first time I faced a crowd after I lost my hearing. Since any music, sur (tune) and taal (rhythm) are inaudible to me, I took time to grasp the steps and co-ordinate with my fellow dancers. I had to put in far more efforts than the normal dancers. There were extra, specialised practise sessions for me. Even then, I had considered backing out, since it was all really new to me. I decided to persist. I guess ultimately, the desire to dance, won against the instinct to flee! Reading about experiences of other hearing impaired dancers across the world aided my process of relearning. I can feel the vibrations of the rhythm due to the bilateral hearing aids (both ears). I gave my first performance post deafness in Oct 2015, on Dussehra. The performance was appreciated by one and all, the best compliment I received was that nobody could guess that I was deaf! I took to dance as a way to emerge from my closet and a means to regain my absolutely shattered confidence. Apart from its physical benefits, dance has many mental benefits and can be a wonderful way to express oneself. It not only involves steps but is rich in emotions and you get to convey varied expressions using your eyes and face. It is a great outlet, a therapy to release one’s pent-up emotions and heal one’s soul. Dance also helped me tackle my depression better. When I gave my first performance in 2015, post my second TB bout and hearing loss, it was a liberating and cathartic experience. After being bedridden, facing extreme uncertainty and robbed of my independence, when I saw myself in the dance attire, my hands and legs which were pricked with numerous injections, now adorned with beautiful jewellery, the feeling was exhilarating. The bacteria made me dance to its tunes like never before, now I danced my way (quite literally) to kick the bacteria. I have to admit here, that for the longest time I felt ‘cheated’ by Life coupled with an acute sense disbelief. It’s been 8-year long battle, and the wounds are deep and raw. While the physical wounds and scars due to surgeries are there, what is tougher is the mental battle. When I got cured TB for the first time, I thought I was done with it. Nothing prepared me for a relapse out of the blue – even after the relapse, I was assured that it will be just one surgery, 10-day hospital stay, culminating to 1 month-long rest, and then I would be good to go and resume normal life. That was never meant to be! TB+ Depression + Disability: there was a lot of gloom around me. But I understood that there will be some small positives, tiny victories one could lap up to fuel the fire within; it’s only that you have to consciously look for it. Time may or may not heal everything, but accepting your situation does help mitigate the pain. It was dependent on me, which path to choose, either I think of the worse and end my life or learn my lessons and get tougher. My 8-year long journey have made me tougher and a well-rounded person. Next, it’s extremely important to seek help and talk out/share your problems with people you trust. There is NO SHAME in acknowledging one’s problems, it is NOT a sign of weakness. Often we are taught to conceal our affliction, as a sign of strength. This approach is absolutely wrong! Strength lies on accepting and confronting an issue. The TEDx talk I gave earlier this year at Jaipur has to be one of the most detailed accounts of my ordeal. It was initially very difficult to come with my ordeal but I somehow mustered the courage to do that. Post my 8-year long ordeal, I realized that though the disease is widespread in India (we have the largest number of cases in the world! ), many people are unaware of what the disease can do to a person and there is lack of information in the public domain for patients, too, on how to go about dealing with the disease. I also encountered stigma related to disabilities, where we are looked upon as someone lesser, where people have refused to talk to me on knowing that I can’t hear. This prompted me to wear the hat as an advocate, a few months after I started my job in Economic Times. Complete strangers have messaged me in social media, walked up to me and told me in person about how I and my story impacted their lives and helped them rediscover their goals and rewire their lives. The TB patients I have helped or touch their life in any way, have thanked me for “mentoring” them to mitigate the circumstances. My only aim in doing so is that no one ever go through the horrors that I have.